HomeCivicsWhy Does Ohio Pick the President? It Doesn’t! Why Does Ohio Pick the President? It Doesn’t! The current composition of the Electoral College gives states a certain number of electoral votes based on how many members of Congress the state has. Therefore, states with more electoral votes have a relatively greater impact on the final result of the election. However, there a number of “swing states” which are generally considered more important than others because they are states that are considered up-for-grabs. Swing states are competitive every year and are often decided by only a few percentage points. On the other hand, there are “safe states” which are generally considered less important than others because they are not up-for-grabs. For example, the state of Minnesota has not voted for a Republican since Richard Nixon in 1972. Conversely, Utah has not voted for a Democrat since Lyndon B. Johnson in 1964. These states are “safe” states and won’t tilt the balance of a close election. Yes, Ohio is generally considered to be a swing state. In the past 10 elections, the state of Ohio has voted for the Democratic nominee five times and the Republican nominee five times. In the past four elections, the state of Ohio has been decided by 5% or less. Clearly, the state is competitive every election and, therefore, draws a lot of attention from the candidates, the media, and our nation as a whole. Ohio is just one of many “swing states.” Florida, North Carolina, and Nevada are other examples of swing states. So, Does Ohio Pick the President? 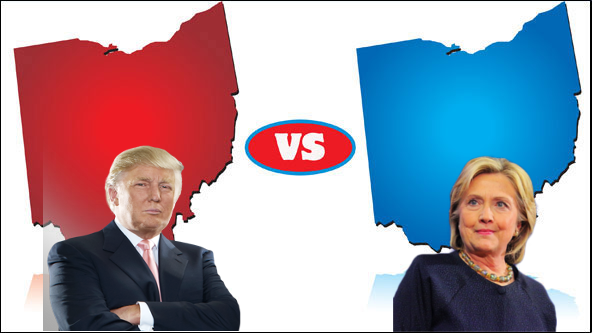 Technically, it’s not true to say that Ohio picks the President. Ohio’s 18 electoral votes are not more valuable than any others. Furthermore, the state of Florida, one of the other major swing states, has 29 electoral votes, making it far more significant in the grand scheme of things. Still, Ohio is a very significant state in the presidential election. Ohio has the 7th most electoral votes overall. So, next time someone asks you “why does Ohio pick the President?” be sure to let them know that is not exactly how it works!